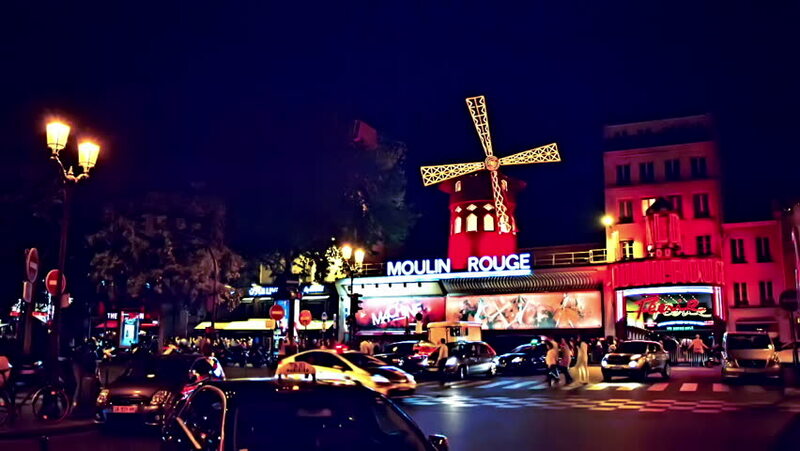 hd00:10PARIS-DEC 30,2013: The Moulin Rouge cabaret at night on December 30,2013 in Paris,France. It was open on October 6,1889 and located in the red-light district of Pigalle area around the Place Pigalle. 4k00:09PARIS, FRANCE - JANUARY 2017: night illumination paris double-decker bus ride moulin rouge crowded square panorama 4k circa january 2017 paris, france. 4k00:15PARIS, FRANCE - AUTUMN, 2015: The Moulin Rouge cabaret at night. Paris. France. Shot in 4K (ultra-high definition (UHD)).